Following its Andy Warhol-centric drop, CALVIN KLEIN is introducing a new sub-label, dubbed “EST. 1978” in honor of the brand’s founding year. Appropriately, the new line is both a celebration and update to the American brand’s heritage. All-over prints grant the release a sense of youthfulness, with bold imagery showcasing Western plains, barns and Richard Avedon’s iconic photograph of Brooke Shields. Despite the contemporary approach to design, the selection channels CALVIN KLEIN’s heritage through recognizable silhouettes and sturdy textiles – denim shirts, jeans and jackets to form the base of the collection. Tees and hoodies round out the comfy wardrobe essentials, while layering pieces and accessories include puffer jackets, backpacks, a coat and cap, all emblazoned in complementary, eye-grabbing imagery. Look for EST. 1978 on the CALVIN KLEIN web store and at retailers like HBX soon. Most recently, the label’s 205W39NYC imprint released its luxurious Pre-Fall 2018 collection. It currently offers Andy Warhol-printed T-shirts and jeans for just $49.50 and $148, respectively, and next month, Simons will debut his first official, completely revamped CK Jeans collection. Starting tomorrow, July 13, Simons will release his latest, all-new endeavor: Calvin Klein Jeans Est. Shoppers, be warned: This won’t replace the main Calvin Klein Jeans collection-it’s a new, separate line under the greater CK umbrella, sitting somewhere between CK Jeans and 205W39NYC. T-shirts start at $60, with sweatshirts hovering around the $200 range and outerwear going for between $350 and $700. The first drop, which arrives online tomorrow, features a Warhol-esque graphic of Brooke Shields’s silhouette from her iconic Calvin Klein Jeans campaign in 1980. There’s a pair of optic-white jeans with an allover print, a couple of unisex sweatshirts bearing her image in the center, and a key chain with a clever new OK logo, a twist on the iconic CK. Later this summer, Calvin Klein Jeans Est. 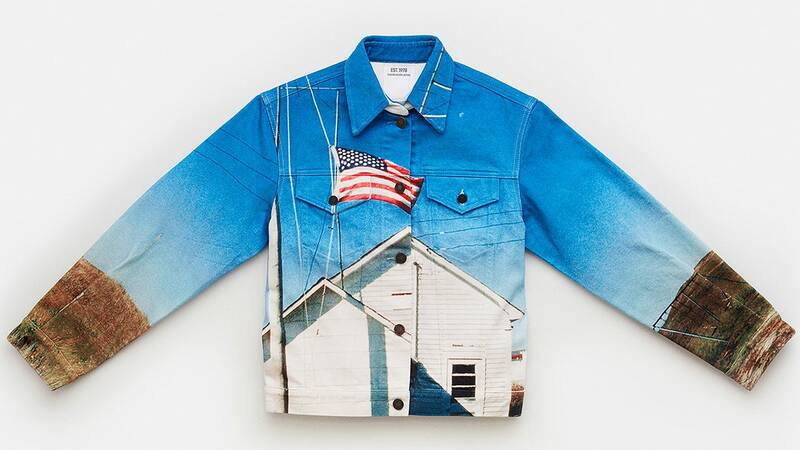 1978 will introduce straight-leg jeans and trucker jackets with blown-up, abstracted American emblems-the Stars and Stripes of the flag, a bull, a bald eagle-and several pieces with vivid, painterly landscape prints. An old barn and a waving American flag are stamped on the back of a puffer and there’s a pair of jeans printed with a bright, clear-blue sky and a cowboy riding through a Midwestern plain. We have a feeling those jeans will be the first to sell out; start shopping tomorrow at CKEST1978.com and Calvin Klein’s Madison Avenue store, and at select retailers later this weekend. Calvin Klein knows that it has a nostalgic spot in everyone’s heart and it is ready to tap into all of your fond memories with its latest launch. The brand’s new sub-label, called CALVIN KLEIN JEANS EST. 1978 drops today and draws on the brand’s legacy and celebrates the style of its distinctive early years – albeit remixed in chief creative officer Raf Simons’s signature eye-catching ways. The collection, which includes shirts, tops, jackets, and bags mostly made of denim features one of the brand’s most memorable images from the ’80s: Brooke Shields kicking up a leg as shot by Richard Avedon. This is the third launch since Simons joined Calvin Klein two years ago. It’s in good company with the runway collection, Calvin Klein 205W39NYC as well as the lower-priced Calvin Klein Jeans line that offers Andy Warhol-printed T-shirts and jeans. The first part of the collection can be purchased online beginning today and at select stores this weekend. Icon Printed Crewneck Sweatshirt Icon Padded Nylon Backpack If you buy something through our links, New York may earn an affiliate commission. London – Calvin Klein Inc, one of the leading lifestyle brands from PVH Corp, has revealed the new brand look and repositioning of its eyewear range. 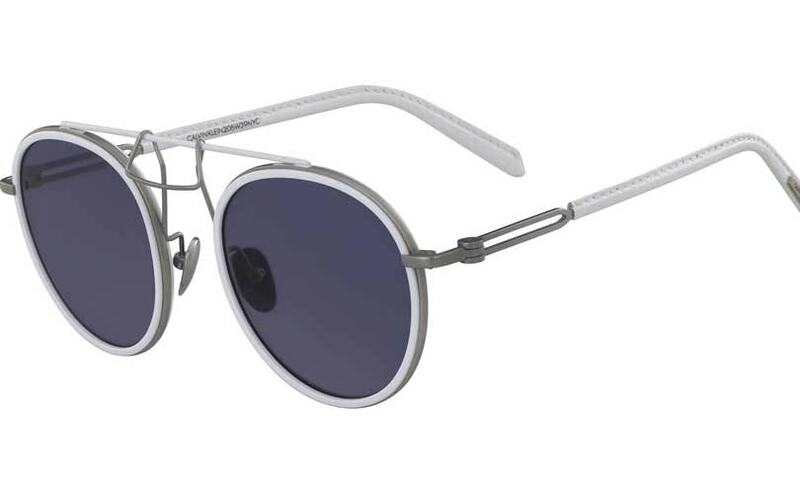 The new direction from the Calvin Klein 205W39NYC and Calvin Klein Eyewear range has been completely developed under the guidance of Raf Simons, creative director of Calvin Klein. “Raf Simons’ powerful brand vision is driving Calvin Klein forward around the world, category by category,” said Steve Shiffman, CEO of Calvin Klein in a statement. Calvin Klein aims to give its eyewear division more visibility under its new branding direction, which includes the debut launch its first luxury eyewear frames under the Calvin Klein 205W39NYC range. The debut Calvin Klein 205W39NYC collection is also set to launch in Calvin Klein flagship store on Madison Avenue, New York and online at calvinklein.com, with prices ranging from 425 US dollars to 525 US dollars.